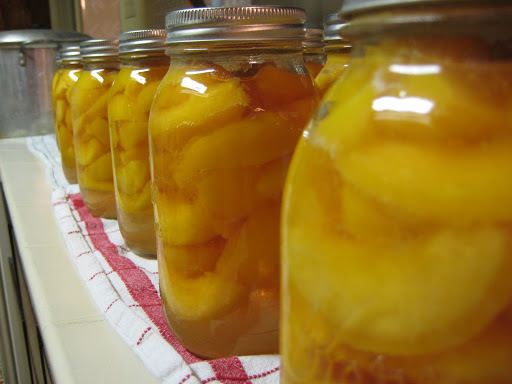 I’m pretty proud of the fact that I bottled 28 jars of peaches by myself. Just wanted to share. I am excited to have them in storage so that I can feed them to three hungry little boys. I am waiting for a couple of boxes of pears to ripen up so I can bottle them next. That is a great picture. Way to go!